We deliver your property to the world like no other real estate brokerage can. 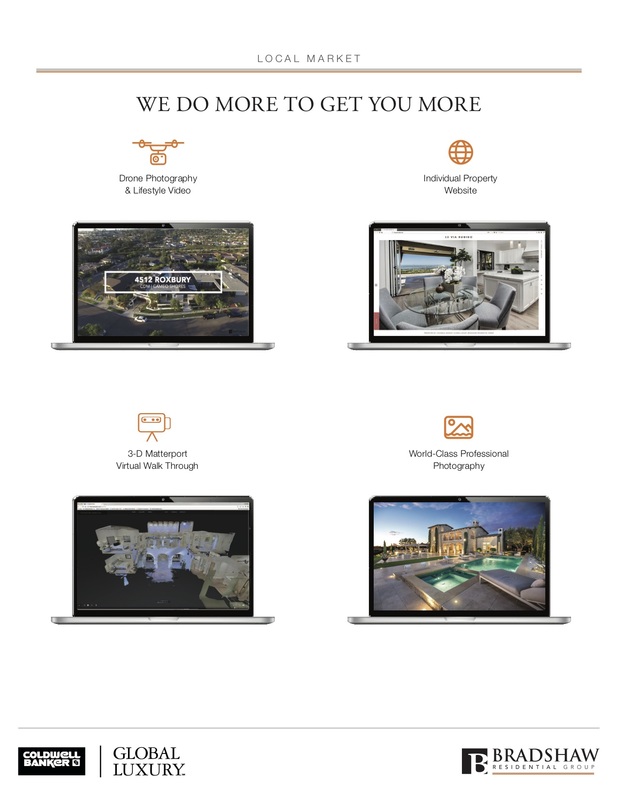 From vision to development of a highly customized marketing plan to the reality of a successful transaction, Bradshaw Residential Group is attentive to every detail of your family's needs. An extensive and proprietary marketing plan which includes print, web, video, lifestyle, social media and word of mouth.